So since childhood, you always wanted to own a supercar and now you think you can afford to buy one. Great, but what is next? They are thousands of supercars available on the market. Which one to choose? Buying a supercar is a lot harder than buying a normal car and if you made the wrong decision, either you will end up in debt or broke. However, keep in mind that you should not be a millionaire to be able to afford a supercar. With the right finance, you too can flaunt your own beast with pride. One big mistake that many people do, is that they improvise only for the car without taking into consideration the other costs associated with the car like insurance, fuel and road tax. So, let's take a deep look on everything that you need to consider when buying your first supercar. The first and most obvious thing that you need to consider is your budget. 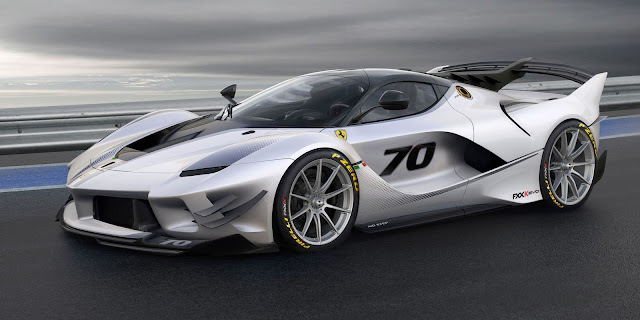 Come on man, I have $80,000 and I cannot buy a Ferrari Laferrari, worth millions of dollars. That's obvious! When deciding on your budget, you need to make sure that you don't go broke just to be able to afford a supercar. In the United States, the average salary is between $5000 to $6000 per month, with that amount of money, you can finance a supercar of around $90,000 to $100,000. 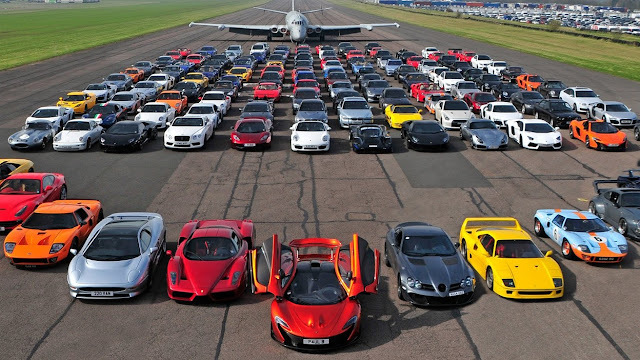 If you are in this range and your dream car is a Lamborghini Gallardo, then it is completely possible to own one. 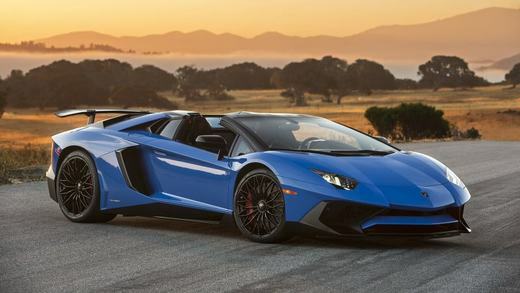 Another big mistake that a lot of first-time supercar buyers do, is that they go to the extreme with their budget and forget the other costs coming along, then sad to say, but they end up either selling the car back or leave the car sitting in the garage. 2. How would you finance your supercar? As the name itself says, car finance or car loan is when you go to a financing institution or bank and you basically ask them to lend you money (loan) to buy your desired supercar. In the loan agreement, the borrower (you) accepts to pay the amount financed as well as a finance charge (widely known as interest) over a certain amount of time. Once, you are satisfied with what your dealer is offering you, you use that money to compensate the latter, which means that once a dealer is selling a car, he is getting his full amount of money. The dealer, in no circumstances, is in the loan agreement. If anything happens or you cannot afford to pay the car anymore, it is only between you and the financial company that issued you the loan. A lot of people still believe that if they cannot repay back their car loan, the dealer is not getting him money, which is wrong. People who are buying supercars don't usually go for this finance method, rather they go for the other method which is leasing. Car leasing is basically you are paying for using the car and not the car itself. A lot of people confuse car leasing with car rental, which is not the same thing. While it may seem the same as car rental, but the main difference is that when you are leasing a car, after some years, you can register the car on your name or you can return the car back after the period whereas when you are renting, the car will never be yours. A lot of supercar buyers opt for car leasing because it is relatively cheaper than car financing. When you lease a car, you simply make a small down payment, usually much lesser than the typical 20 percent of the value of the car that you would have paid to buy. Then, an agreed monthly instalment is paid for a certain amount of time. After the period ends (3-4 years), you have 2 options; either return back the car or pay a certain amount of money to transfer the car to your name. Why a lot of supercar buyers, as well as normal car buyers, opt for this method is because you don't have to make a big down payment and also, you are paying way lesser monthly than the traditional car finance. When you lease a car, you are only paying for the car depreciation rather than the value of the car. As supercars are relatively expensive, a lot of people find it easier to lease the car. Not only, you pay less but also you can enjoy a new car every time the lease ends. You are pretty much not the owner of the car when the lease expires, which means that you won't have the equity in the car to use for your next car purchase. Over time, take for example 10 years, the cost of leasing a car will be much more than if you would rather buy a new or used car. There are leasing penalties, which can be quite expensive when you exceed the number of miles in your contract, you fail to keep the interior or exterior of the car in good condition or you want to return the car before the lease period ends. 3. Which supercar you want? Why is this in the third place instead of first? Wait, let me explain. 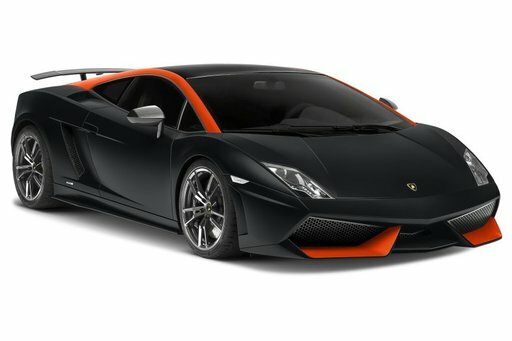 When considering of buying a supercar, the first thought in your mind should be how much I can afford then after that, you will search for your supercar in this price range. If you first choose which supercar you want, most probably, you will end up with one which is above your budget and you will try to increase your budget at any cost just to get this supercar. A big mistake that many of us do, is that we go to a supercar dealer but unfortunately, they have the supercar that we want and some of the specs are not what we wanted. So, we tend to compromise and this is where it goes wrong. Never ever compromise when buying a supercar, sooner or later, you will regret it, believe me when I say this. Also, it is preferable that you visit a bunch of supercar dealers. Not only does this increase your chance of finding your perfect supercar but also you can get better deals. Who knows, you can get a better supercar for the same price and it may completely surprise you. Take your time when doing supercar shopping, don't rush anything. Another important thing to consider when buying a supercar is to decide whether to get a new one or a used one. There are both advantages and disadvantages in either way but you need to go for the one which better suits your budget as well as your choice. You need to be very careful when buying a used supercar, be it at the dealer or a seller. Make sure you know the whole history of the car as well as you have already inspected the repairs and maintenance papers before buying. One major thing to consider when buying your supercar is to see what facilities the dealer or seller is offering you. Sometimes, you may live in one state and your supercar is in another one. So, you will need to transport the car to your house and if your dealer/seller is providing you with the transportation, you know that you won't have to pay for that, thus decreasing your cost. Also, some dealers will take the time to show you everything you need to know when buying a supercar and they will help you use your budget wisely. They will also make the paperwork easy for you. Always negotiate before buying a car. There is no wrong in doing that. Not only will negotiating help you in getting better value but also, it strengthens the bond between you and the dealer/seller. Take into consideration all the little or major facilities that dealers/sellers are giving you then compare them to see which one to go for. A lot of first time supercar buyers forget the fact that insurance is compulsory on every vehicle on the road. They use all their budget on the supercar itself and finally, when it is time to get the car on the road, they cannot afford the insurance costs. People often believe that to insure a supercar, you need a lot of money. It is not completely correct. The cost of insurance will depend on a lot of factors. For example, a 40 years old man insuring a Lamborghini Aventador will cost less than a 20 years old boy insuring the same thing. That is because in the eyes of the insurance company, the older you are, the less chance there is that you get into a car accident. Once again, you need to compare different types of insurance and what they are offering you to get the best. Don't stick to only insurance. Request a quote from different companies then go for the one which you are completely satisfied. Previously, I have written a blog about supercar insurance, you might want to take a look at it will show you what an insurance provider takes into consideration when deciding on how much to charge you to insure your supercar. If only there would exist a supercar with no repair and maintenance, let alone a car. But too bad, that does not exist, at least till now. So, one major concern that you need to be having when choosing your dream supercar should be the repair and maintenance cost. Believe me, to repair a supercar or even for regular servicing of a supercar, it costs hell a lot of money. This might be a problem if you are buying a car with warranty but once the warranty is over, you should be sure that you will be able to afford the cost. If you are buying a new supercar, straight from the showroom, it is less obvious that you will need to repair the car during the first year of ownership itself. The real problem comes when you bought a supercar with a lot of mileage and no warranty. When it arrives in your driveway finally after a long time, you discover that the car does not even switch on properly. If you are a mechanic and this is a piece of cake for you, then you are on the safe side and if not, then best of luck in finding a mechanic and affording the cost of repairs. Make sure to discuss everything with your dealer or seller when buying the car so that you don't end up frustrating or shocked when something happens to your car. One important thing that most of first time car buyers do not know or simply do not take into consideration is the tax in their country or state. In most countries, for a car to be on the road, there is a tax that needs to be paid annually. The amount of tax might depend on the type of car you are getting, usually, supercars need to pay more road tax. Also, in some countries, there are certain laws that might affect your supercar ownership in a negative way. Be sure to check them before buying your supercar. A simple Google research will do the job. Be sure to include these costs also in your budget. 9. How much time will you keep the car? Yes, I know, you are just considering about buying your first supercar. But you need to estimate how much time you will keep the car to have a better overview of the whole thing. Estimate everything from the cost of the car to insurance to repair costs. Sit down and write it all. After that, it will be clearer in your mind, how much this car will actually cost you. This way, you are sure that after 6 months of ownership, you are not going broke. The cost of a car is not simply the amount of money you paid to get that car into your garage but it is the whole time that you did have the car and how much it costs you at the end. 10. Estimate how much you will sell the car after some time? A lot of people think that a supercar is a form of investment which is completely wrong. A supercar, just like any other car will depreciate with time. They are supercars that hold their value very well over time due to its rareness or its history but most of the supercars depreciate over time, some slower and some quite fast. 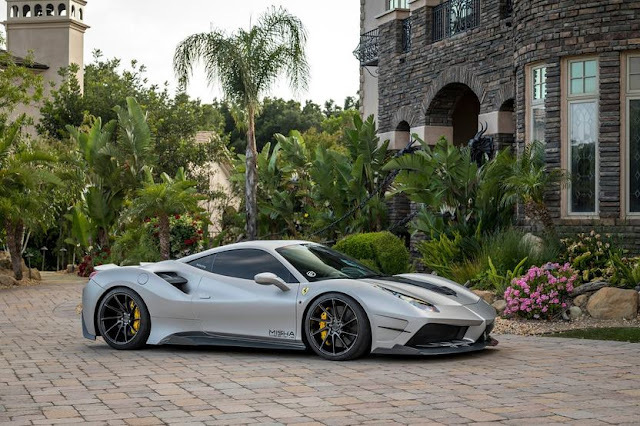 So, when buying a supercar, you need to estimate how much time you will keep the car and how much miles you will put on it to determine approximately how much you will be able to sell the car. You will get a better overview of how much you will lose or how much profit you will make (that happens very rarely). It is not recommended to buy a supercar that you know loses their value very fast, like Aston Martin and Audi among many others. Here they are, the 10 things that you need to consider when buying your first supercar. Take your time and plan everything. Get someone who knows these things well to advise you. Always negotiate prices as this is the only way to get the best deals. Please share this article with everyone who you think will find this useful. If you have any questions or comments, feel free to write them down below. I try my best to reply to everyone. There are true guidelines car enthusiasts who need buying first supercar. you have covered so many bases like car leasing singapore. Much an obligation of appreciation is all together to create such an amazing article regarding this matter.